Firstly, if anyone can teach me Gaelic instantly, I’ll write them into my will! I have another book entitled, “Scottish Gaelic in Twelve Weeks”: a touch optimistic, that. I’m a Gaelic novice. I’m English and live in England so never encounter Gaelic speakers, and rely on things like “An Litir Bheag” for my practice. I’m a great lover of languages, and quite determined: I speak reasonable Spanish, which I more or less taught myself, and have brought myself up to a level where I can happily converse. Spanish speakers are not as hard to come by down here as the Gaelic ones! 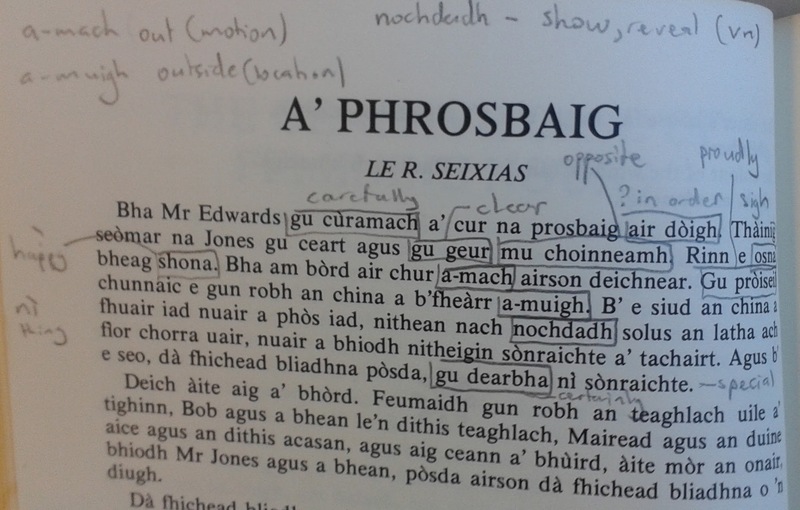 “Instant Gaelic” is, for me, a really useful book. Firstly, it contains four short stories, a play, a poem and song. Each one has both Gaelic and English text. This is brilliant. You can get the meanings by just flipping a couple of pages: much quicker than looking up every other word in a dictionary. The stories are not aimed at any particular level of expertise in Gaelic; they’re challenging without being impossible. 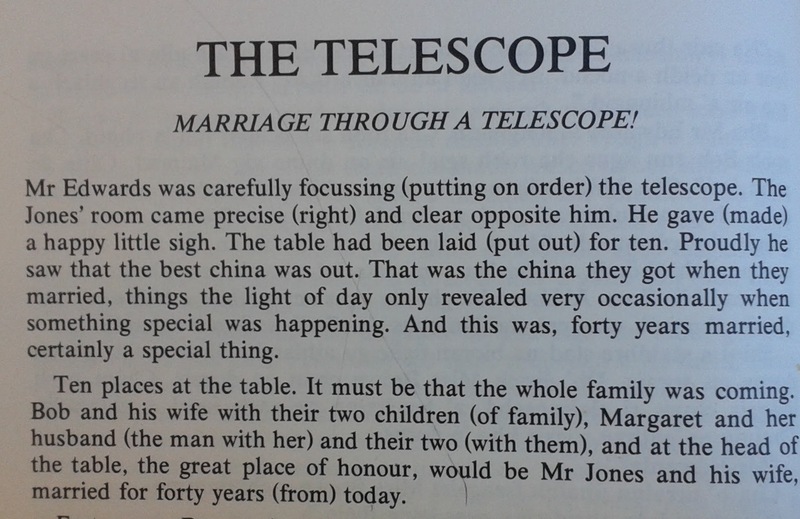 The other, really useful, element of this book is its sections on grammar. Short sections focus on things like: male genitive nouns; female genitive nouns; adjectives in the cases of male and female genitive nouns; all tenses and forms of regular verbs; and more besides. These grammar sections are presented as drills: you practice them by repetition, so you’re learning by rote. For me, a very useful book that I think will really help me to make progress. Good luck finding a copy! Suas leis a’Ghaidhlig! You are currently browsing the Chris1729's Blog blog archives for June, 2015.